The most important thing to understand about these exemptions is that if your use of content meets one of these exemptions, your use is unlikely to be infringing. In other words, this means that you would not need permission of the copyright holder, and you would not need to rely on “fair use” to be able to use the content. This exemption allows teachers or students to perform or display copyrighted works in the classroom during face-to-face teaching activities. This means that a teacher could show pictures, read stories or articles, and show video clips to their students during class to enhance their educational experience. For physical classroom use, it doesn’t matter what kind of work it is (like if it’s dramatic, nondramatic, or musical); any type of work can be used. (3) You must use a lawful copy of the motion picture or audiovisual work you plan to use (either licensed or allowed under fair use). 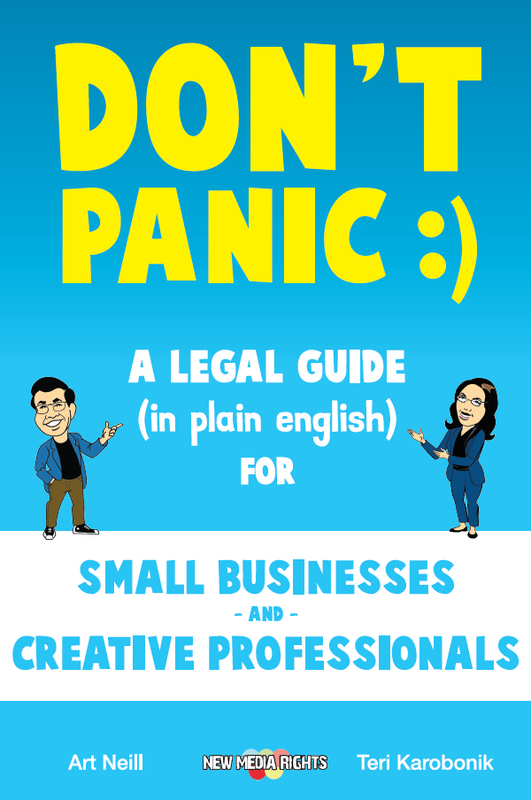 If you are performing a motion picture or audiovisual work, or even displaying single frames of those works, using an unlawful copy of that work will be considered copyright infringement if you knew or had some reason to believe that the copy was unlawful. In other words, if you have even the smallest suspicion that the copy of the film or clip you want to show to your students might be bootlegged or otherwise obtained, made, or copied without the permission of the copyright owner, this exemption will not apply to your use, and using it could mean liability for copyright infringement. Remember that the exception only covers performance and display of works in the classroom, not any copies or adaptations. 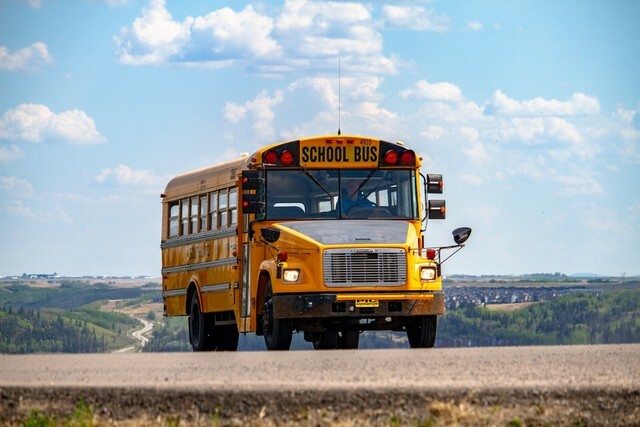 So, if you make a copy of a photo for classroom use, that copy has to be separately allowed either under fair use or even by permission of the copyright holder. The “classroom” means a place used for instructional activities and where the audience is limited to members of the particular class. For example, a performance in the auditorium during a school wide assembly would not be considered exempted because there would presumably be students present from different classes. So, if the first graders are watching the same performance as the fourth graders and the sixth graders, the performance would fall outside the scope of the exemption, and would be probably be considered infringing. But keep in mind that you could include studios, gymnasiums, auditoriums, libraries, and other similar places if they are used like a classroom for instructional activities. Compare this example to the earlier school-wide assembly: once a month the first-grade class goes to the library for their literature class. The students take turns reading from a short book aloud, and the teacher teaches an accompanying lesson about the themes of that particular book during that time in the library. Since this instructor is using the performance of the book as part of her lessons, and she is using the library as a place to teach her students, this particular use of the short book is likely to be exempted from infringement. This exemption is similar to the classroom use exemption, but specifically covers distance learning, or any classes that are transmitted (digitally or otherwise) outside of a physical classroom. It is intended to be used in situations very analogous to the in-person classroom setting, and is in fact narrower than the in-person exemption discussed above in a number of ways. If you want to use a work in an online class, read this section carefully and make sure you comply with each aspect of the distance learning exemption. This exemption allows for the transmission of a performance or display of a non-dramatic work (which means works not found in an opera, musical, or other theater work) literary work, musical work, or “reasonable or limited portions” of other works. It also allows for the transmission of a display of works as long as you use an amount comparable to what would typically be shown in the live classroom session. For elementary or secondary education – must be accredited by the applicable state certification or licensing procedures. (2) The performance or display must be directly related and “of material assistance” to the teaching content of the transmission. This means that the performance or display must be important and related to the particular lesson you are teaching. (3) The transmission of the class must only be made for and shared with the students officially enrolled in the class. (4) The transmitting body (the school or other educational institution) must have policies on and work to promote compliance with copyright law. (5) If the information is transmitted digitally (and most things are these days because they involve transmission through the internet), there is an additional requirement that the institution apply technological measures that reasonably prevent someone from retaining an accessible form of the copyrighted work for longer than the class session and prevent students or other members of the audience from sharing it with those not in the course. Remember that this exemption only covers performance and display of works, not any copies or adaptations. So, if you make a copy of a photo that is then displayed, that initial copy has to be separately allowed either under fair use or even by permission of the copyright holder. The material being used cannot be produced or marketed specifically as part of curriculum material and not unlike the above exemption, if you use a copy of a motion picture, using an unlawful copy of that film will be considered copyright infringement if you knew or had some reason to believe that the copy was unlawful. The Copyright Advisory Network has created a tool to help understand these first two exemptions, which can be found here. It can be difficult to navigate which uses of copyrighted content is allowed, and which are not. 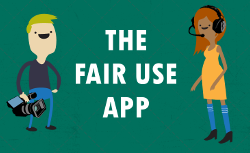 Don’t forget to check out our interactive educational tool, the Fair Use App, which includes a section on the classroom uses and other exemptions. 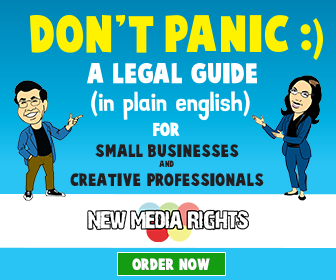 If you have questions about the exemptions of certain performances and displays from copyright infringement liability, please contact New Media Rights.